Dedicated the electron that be tasted newly at introducing and offers huge stock yuan cent of parts of an apparatus sells trade lustre electron (Mouser Electronics) stars together today engineer · released Gelante formerly today Generation Robot (new era robot) the 4th collect of series, this is the Empowering Innovation Together™ that trade lustre obtains special honour repeatedly (beg innovation in all) the activity of newest first phase of the plan. In this short, the Sai Boda that Lantebai visited case to be located in Tokyo outskirts because exhibition (Cyberdyne Studio) , understand the Hybrid Assistive Limb of this company with development®(HAL®, mix auxiliary limb) . This is a kind medical robot suit, combined the mankind, machine and information function, can use the action capacity that restore or increases the mankind. 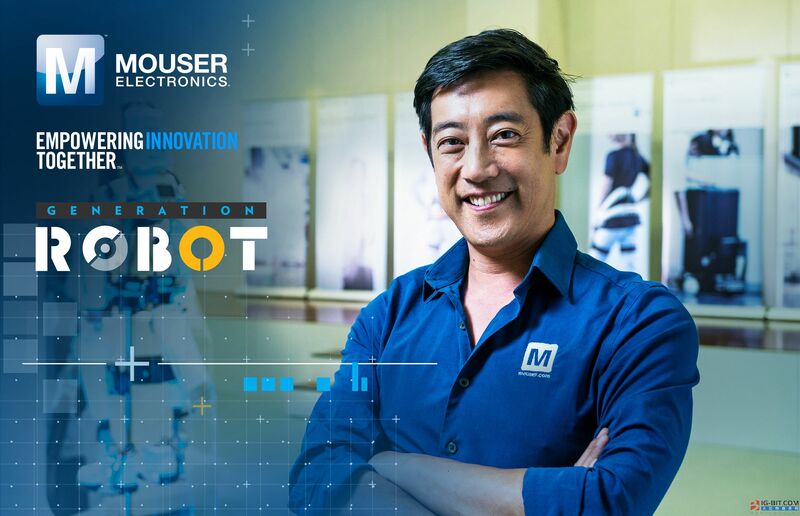 Generation Robot series by trade lustre important supplier partner Analog Devices (Yadenuo) , Intel (Intel)®, Microchip Technology (small core science and technology) with Molex (Mo Shi) provide support. In the CEO to Cyberdyne, the deepness of Dr. Yoshiyuki Sankai is interviewed in, trade lustre and Gelante understood man-machine unifinication system or copy to give birth to the different use that controls a technology and specific implementation. This video demonstrated HAL how to the system supports and enhance the action ability of the person that apparel. Gelante still interviewed the patient of use HAL, understand HAL suit further apparel to train and review electric machinery function, how does understanding technology improve life quality of the patient at the same time. Since since was being rolled out 2015, plan of Empowering Innovation Together already became an electron yuan industry of parts of an apparatus is famous spend and the market approves one of promotion plans with very high rate, the activity that has conducted before this ever had introduced aerospace 3D to print project and the technical advantage with each colourful Jing letting a person in making intelligent city series. Trade lustre the target 2018 is plan Empowering Innovation Together™ antenna outspread to world each district more innovation technologies, the key pays close attention to the robot influence to the mankind.